It’s a mental and physical stimulant. A pick-me-up. It encourages you and gets you ready. In the morning, better than a coffee and more healthy than sugar. To clear your mind just before a complicated meeting or to rescue you in the evening, after a tough day getting ready to go out at night with friends. * OFF ROAD CAPTURES Out of the marked paths and into the wildest corners of Empordà, these are our bravest option. Pure landscape in a bottle. 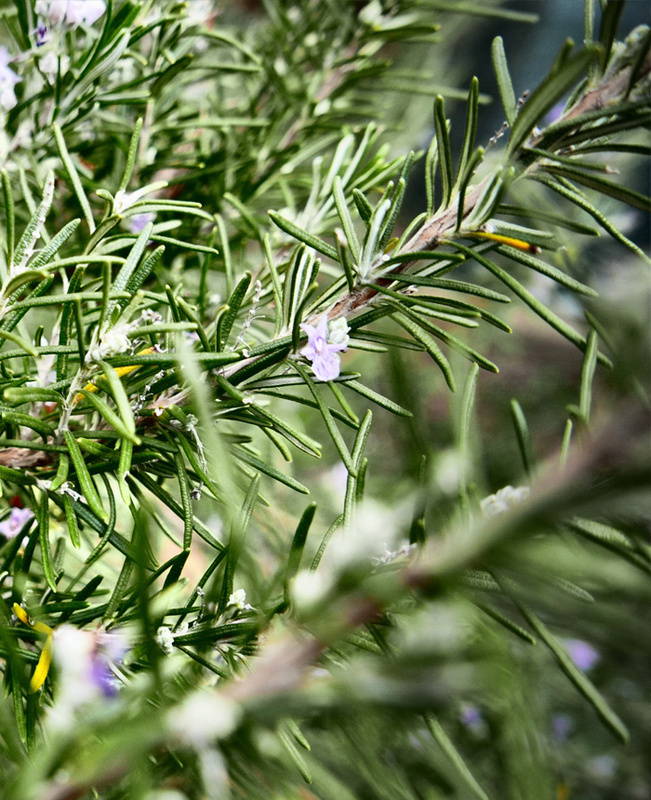 Because wild harvesting means to collect the plant in its natural environment, catching it off guard and by surprise, so you capture all its properties. 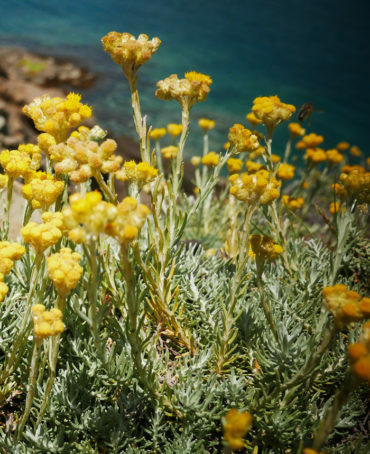 Plants do not behave the same in an isolated and structured crop than in the wild, coexisting with other species, competing and collaborating within a specific ecosystem. We know that, and we believe it makes a big difference. When we make our captures, they are alive and in movement. This is how we keep them in the bottle. They smell great because they feel great, changing you while altering themselves as well. They breathe with you, and you breath them. And you take a piece of the planet on every inspiration you take. 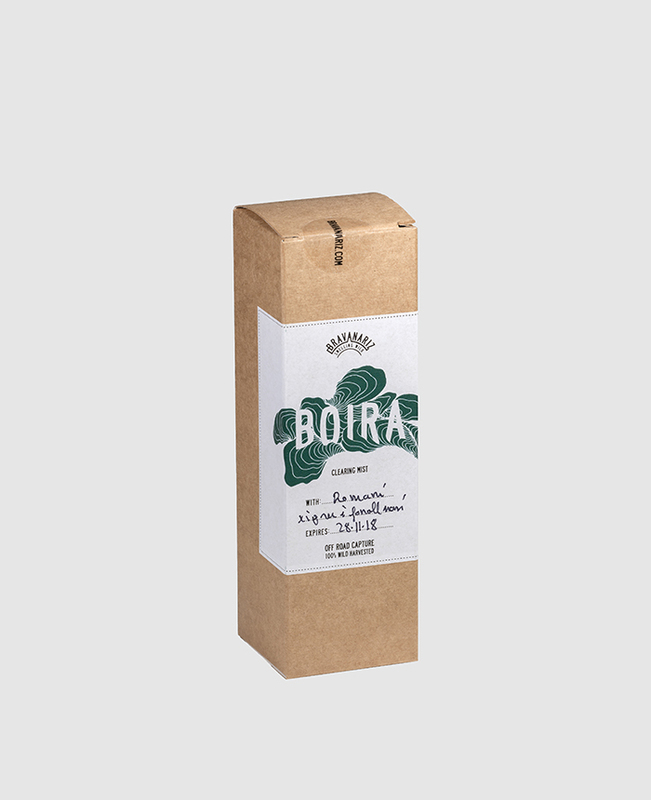 Each BOIRA is a selected blend of hydrosols, condensate water coproduced during the steam-distillation of plants, with all their properties and benefits. Hydrosols contain all of the plant in every drop, the very fluid that was flowing through the plant cells when the plant was harvested. 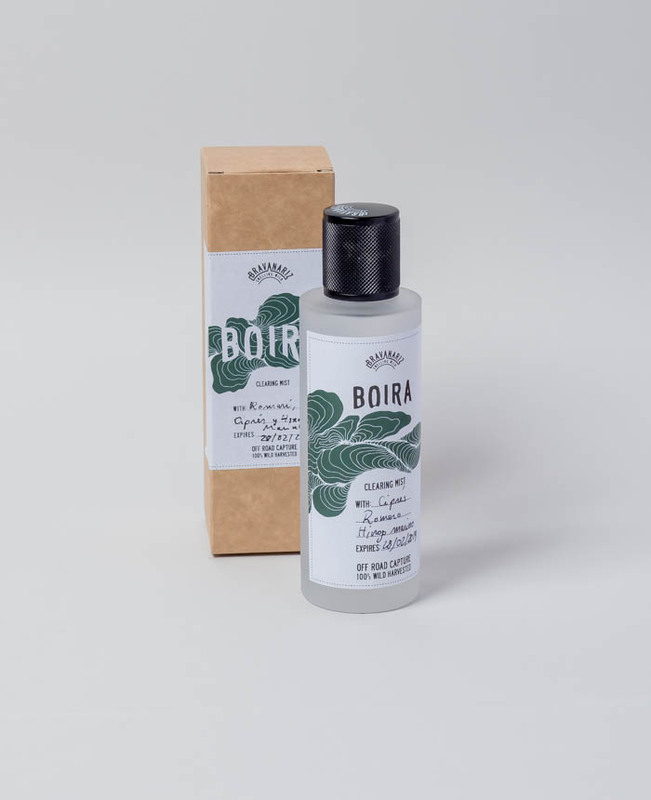 Every litter of BOIRA contains between 0,05 and 0,2 millilitres of dissolved essential oil. Nothing else. No alcohol added or preservatives of any kind. Pure wild harvested plant distilled water. There are many ways to enjoy our BOIRA. You can spray it on your jeans to give it a fresh and sylvan touch. Or on your bed linen and pillows to facilitate a pleasant sleep with its gentle vegetal aroma. You can use it to clean and renew the air at home, or to iron your favourite clothing. You can also spray it on your face as a quick refresher, to stimulate circulation, hydrate and cleanse your tired skin. You can add it to your shampoos or conditioners to promote a healthy and shiny hair. Or spay it all over your body as a subtle perfume scent. 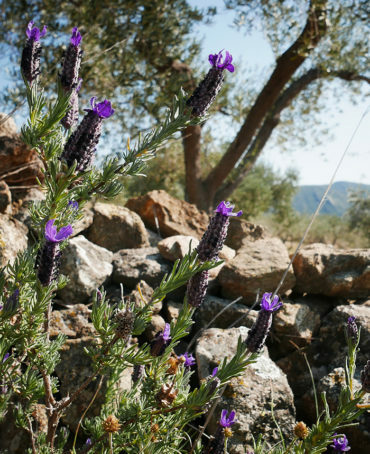 You have all the powerful benefits of essential oils but in a tiny and harmless concentration. Nevertheless, if you have any doubt, do first a skin test on a small surface of your skin for any possible allergic reactions. In case of pregnancy, breastfeeding or serious illness, ask your doctor. Because of its purity be sure to store it in a dry, cool and dark place, in order to benefit from all its properties and benefits.